The brothers Tim and Jan Edler have been a fixture in Berlin’s architecture and art scene for almost two decades. Their collaboration began in 1997 with the artists’ collective Kunst und Technik, from which they later went on to found their own studio for art, architecture, and technology, realities:united, in 2000. From their Berlin-based office they develop projects all over the world, always finding a unique solution for each one by utilizing a hidden potential, specific to the situation. 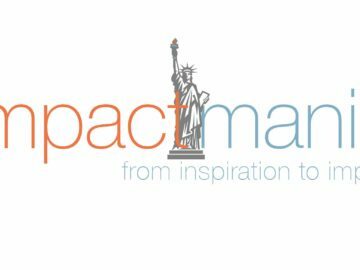 impactmania met up with Jan Edler in Kreuzberg, Berlin, to talk about their particular attitude, which leads to some extraordinarily urban interventions that are often more art than architecture. How would you define your work? 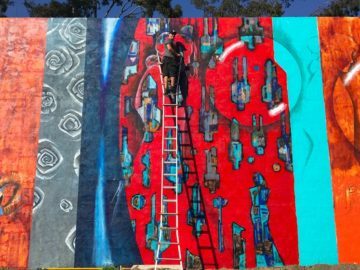 Are you architects, designers, or artists? Tim and I are both trained architects. Looking back at what we have done over the last 20 years, I think our work is situated somewhere between art and architecture. In the beginning it was always a big deal to try to differentiate, to determine what it is, but by now I have given up on exactly specifying it. Even though most of our projects have an architectural background or influence, it doesn’t mean that the finished pieces are architecture per se. One architectural feature that you have concentrated on in your work in the past is the dynamic, or “media,” façade. Why is that? The last façade we completed was in 2012. Right now we are mostly working on projects that are more or less financed by the art world. These projects tend to be situated in the realm of public art rather than parts of buildings. The façades we did in the past were the result of collaborations with “proper” architects, who we sometimes team up with to work on a specific issue or topic of their building design. Our façade designs grew out of our interest [in] architecture becoming changeable or “dynamic.” So these projects weren’t driven by our enthusiasm about what one might call a “media façade”; we didn’t even know what that was supposed to be when we developed our first façade. 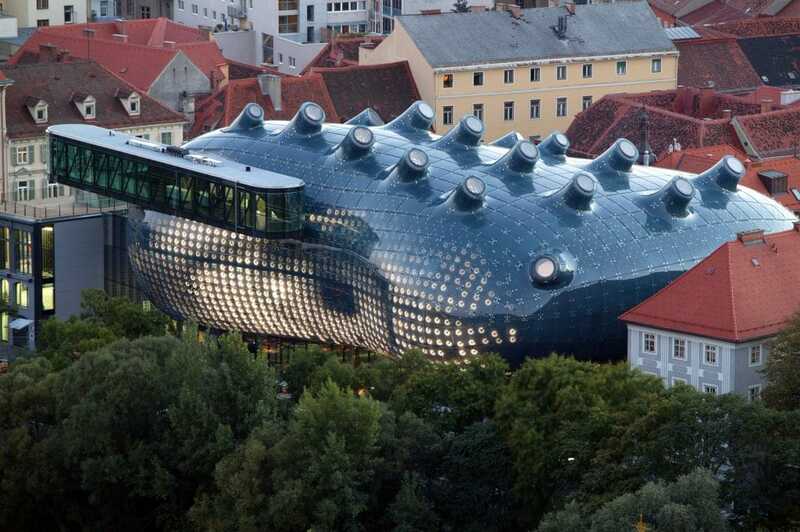 Tell me more about the façade you are best known for: on the Kunsthaus Graz in Austria by the architects Colin Fournier and Peter Cook. There’s a kind of symbiotic nature to that project. We were called in to develop what was described as “a concept for the integration of media technology.” Nobody really knew what that was supposed to be. The idea came from our understanding that the façade, as it was going to be realized, was not doing what it was supposed to do: The original design by the architects was supposed to create a transparent enclosure which turned out to be too cost-intensive. We developed a concept in order to fulfill the architect’s original intention: a façade that would re-create a communicative relation between the interior and the urban surrounding. Is this a general theme in your work, aiding communication between different aspects of a project? 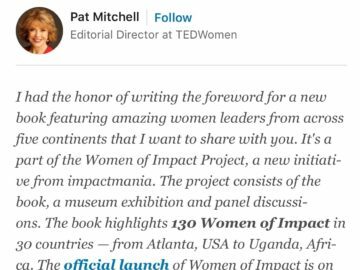 I would rather say that some of our work is driven by making use of the hidden potential we discover in a specific surrounding or project. Often these projects deal with the enhancement of communication. But I would not call that a general theme. Another of the projects you are known for is the Flussbad, a proposal to create a public bathing area on the River Spree in the heart of Berlin. Here you are working on a bigger urban scale. Was this project also driven by the desire to establish communication, in this case between different aspects of the city? Yes and no. 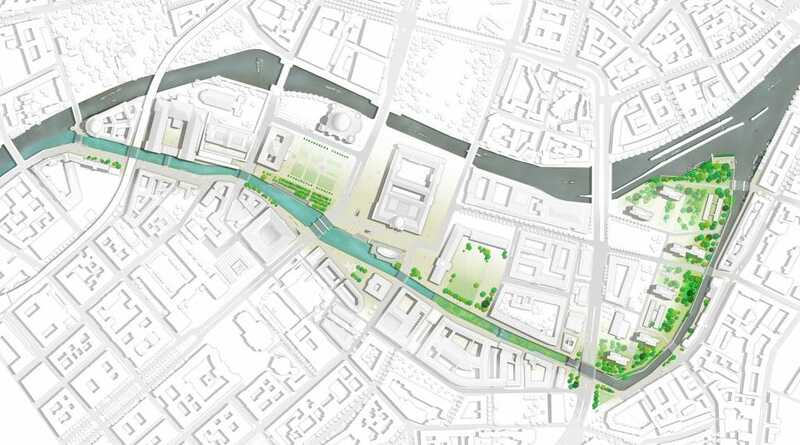 I think to a certain extent the Flussbad project is driven by the idea to connect the city with an unused arm of River Spree. We are talking about an urban void of 1.8 kilometers [in] length in the very heart of the historic center of Berlin. The intention of the project is to revive and enrich that area, to make it accessible for the Berliners. Using the river to swim … has a long, yet forgotten, tradition — in that way the Flussbad project re-establishes an old connection in a modern manner. When did you first have the idea? My brother Tim initiated it about 20 years ago. At that time we were working as part of an art association called Kunst und Technik based in Monbijou Park in the city center, near to the Flussbad site, on the other side of the Spree Island. It was a typical intermediate project that happened after the fall of the Berlin Wall — an illegal nightclub. Tim was looking at the resource of that river arm and started thinking about how to make use of that huge undiscovered potential in the city. What is the current status of the project? Has it gained some traction over the last few years? 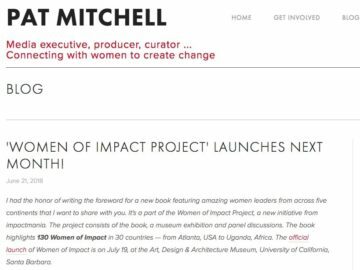 The project has funding now. After we won the 100,000 USD Holcim Award for Sustainable Construction for it in 2011, we decided to form a nonprofit organization to support the development and communication of the project. This has been slowly growing, and the organization so far has managed to acquire funding twice: The Lotto Foundation Berlin allowed us to look at the technical feasibility of the project — which has now been proven — and shortly afterwards we received funding from the federal government and the Senate of Berlin, which is still ongoing. We now have 4 million EUR to further develop the project until the end of 2018. We are setting up numerous communication channels in order to see if Berliners want to see this kind of project in their city center, and to prepare the political decision for its implementation or, if we are lucky, to achieve a political decision on the project. Is it not a bit ironic that there you are working very closely with the public and incorporating them into the process, whilst at the same time another big project — one which does not enjoy a whole lot of support from ordinary Berliners — is happening just a short distance away: the reconstruction of the Stadtschloss (City Palace)? How do you see the relationship between these two projects? The Stadtschloss, or the Humboldt Forum, as one must call it now, is trying to facilitate what they call “an intercultural dialogue.” That, of course, is mostly directed towards the past. But how can we re-orientate our thinking processes towards the future? The Flussbad project has the potential to be a catalyst to connect the Humboldt Forum with the city of Berlin, to prolong this intercultural dialogue with everyday culture by implementing a function in the city center that also appeals to people that perhaps wouldn’t usually visit the Museum Island. With Flussbad, the unused Spree Canal becomes a true connecting lifeline in the city again. Why fight to have the Flussbad right in the heart of the city? Why not somewhere farther out where it is less populated and less full of traffic? The project deals with the idea of clean water. It’s about cleaning the natural resource of the river that is becoming spoilt due to the city’s mixed sewage system. It also concerns the broader theme of sustainable urban redevelopment — both of which are big topics. Clean water is traditionally a status symbol for developed society, and the notion that future urban redevelopment must be sustainable slowly becomes “obvious.” Here on the steps of the temples of high culture such as the Museum Island is the right location to negotiate such issues that will determine our future life in growing cities like Berlin. One of your newer projects is a big public art installation in Copenhagen. Here, too, you found an unusual way to communicate something to the public. Can you tell me how you developed this concept? We developed this project as part of a competition for a new waste-to-energy plant we did together with Danish architect Bjarke Ingels (BIG). 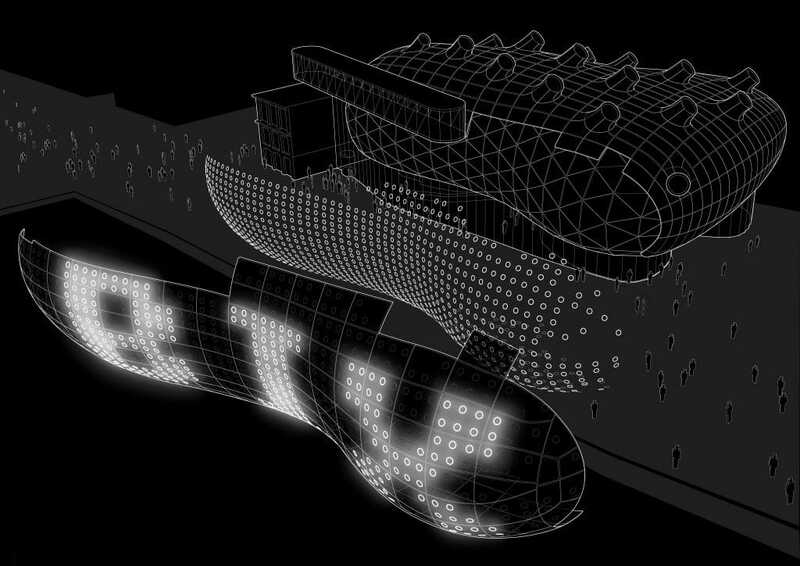 As we had done other competitions together beforehand, including the National Monument to Freedom and Unity in Berlin, we knew that our small team had difficulties to keep up with the enormous daily output of Bjarke’s huge creative “machine.” Therefore we decided to concentrate on the smokestack only — an element that you cannot get rid of. We were fascinated by this ultimate symbol of the industrial era: an essential but devilish element in a project, which claimed to be the greenest waste-to-energy plant in the world. Driven by his idea of what he calls “hedonistic sustainability,” Bjarke proposed an industrial plant, which is made accessible to people instead of being fenced off from the city territory. 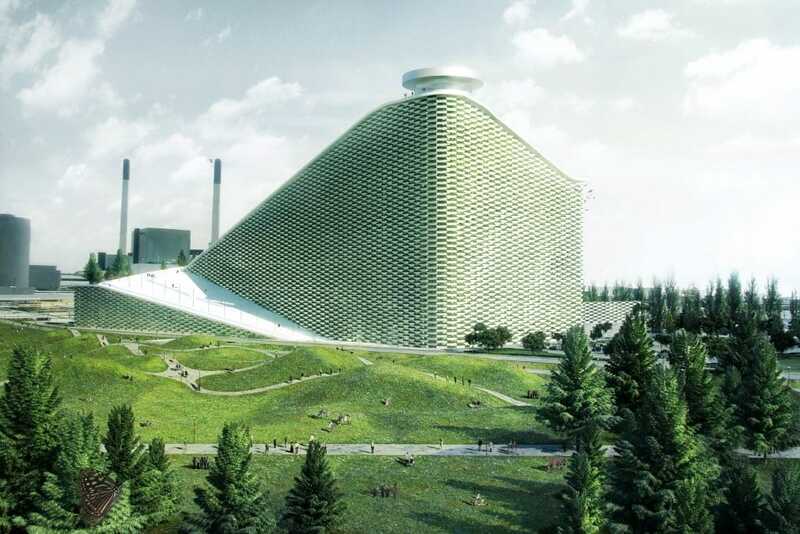 On top of the mountain-shaped energy plant, he created a public park for hiking and skiing — a fantastic concept which implies a very bright future: The next generation will go skiing on top of a highly efficient waste-to-energy plant, which produces the necessary heat and energy for all Copenhageners while hardly releasing any toxic fumes. You could think, “Let’s throw away more! We will benefit from more energy and heat, and a growing machine-mountain will provide better skiing slopes at the same time! ” Yet the plant still releases CO2. 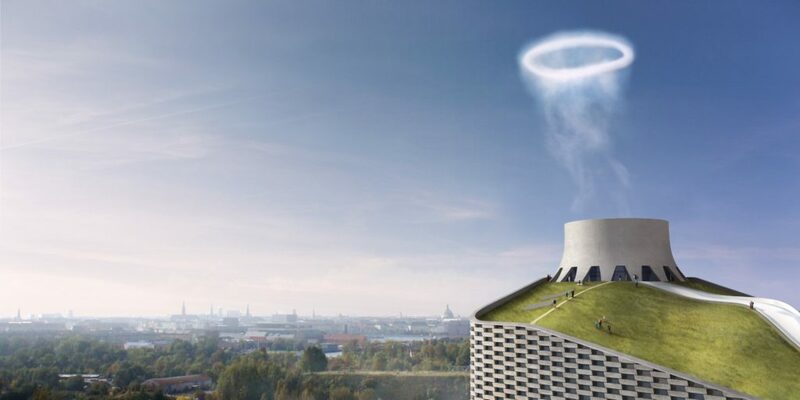 Therefore we proposed to convert the smokestack into a vortex machine: A large chamber on top of the building accumulates half a ton or a ton of combustion gas and pumps it out periodically. 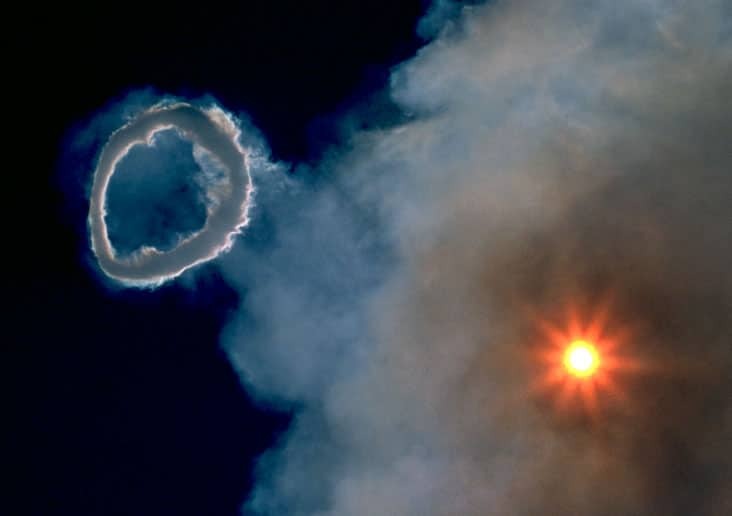 The outcome is [an] up-to-30-meters-in-diameter large smoke ring rising slowly into the sky of Copenhagen — a very tangible scale for society to understand their carbon footprint. I like to look at it as a gentle but persistent reminder that we haven’t arrived yet as a society and that we still have a lot of work ahead. In 2000 the brothers Tim Edler and Jan Edler founded realities:united (realU), a studio for art, architecture and technology. realities:united develops and supports architectural solutions, usually incorporating new media and information technologies. One major focus of realities:united is architecture’s outward communicative capacity. Another is the quality of the user experience inside spaces, which in function and appearance is essentially augmented and changed by additional layers carrying information, media content and communication.